Buddy! Do you know Malaysia is the first overseas stop of GFRIEND 2019 Asia Tour? GFRIEND will kick start their 2019 Asia Tour in Seoul this coming May then will be meeting the fans in major cities - Malaysia (29 June), Singapore (20 July), Bangkok (27 July), Hong Kong (3 August), Jakarta (23 August), Manila (25 August), Taipei (31 August) and Yokohama (17 November). 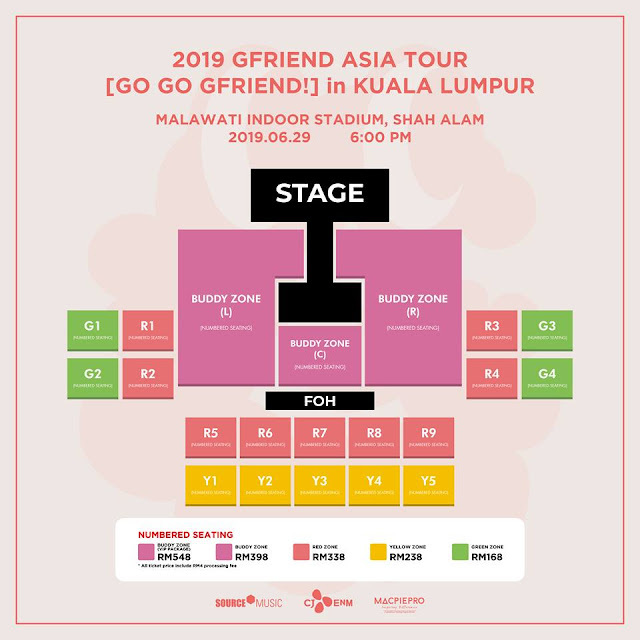 Presented by MacpiePro, GFRIEND 2019 Asia Tour [GO GO GFRIEND!] in KL is set to take place at Malawati Indoor Stadium on 29 June. Offline tickets will be on sale for 2 days on 6 and 7 April at Mcalls Digital Lifestyle store, online tickets however, will be on sale from 8 April onwards via MacpiePro official website. This Asia tour marks GFRIEND first visit to Malaysia. *Note: Fans who purchase tickets of any category through online within the first week may get autographed posters. 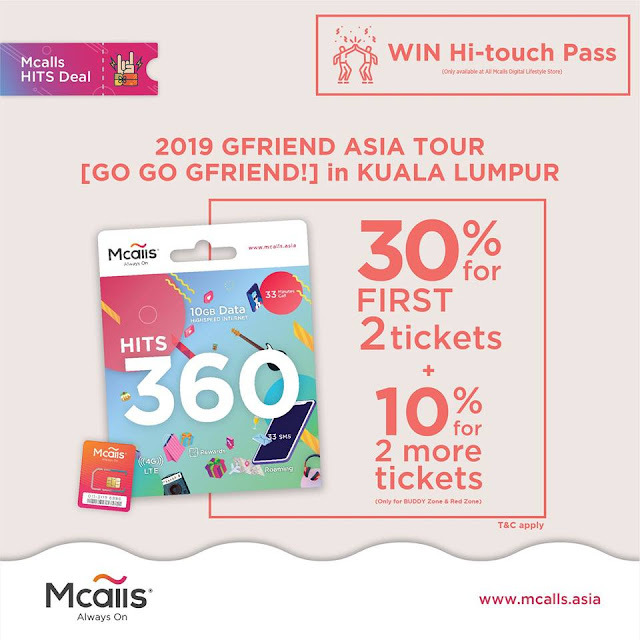 Mcalls Fans get to enjoy discounted ticket prices upon subscription to Mcalls HITS 360 for 2019 GFRIEND ASIA TOUR [GO GO GFRIEND!] in KUALA LUMPUR. Their 1st and 2nd tickets will have a 30% off discount for BUDDY Zone RM398 and Red Zone RM338. Fans also get their 3rd and 4th tickets for 10% off. Existing Mcalls Fans can also upgrade their existing plan to HITS Plan to enjoy this HITS Deal. 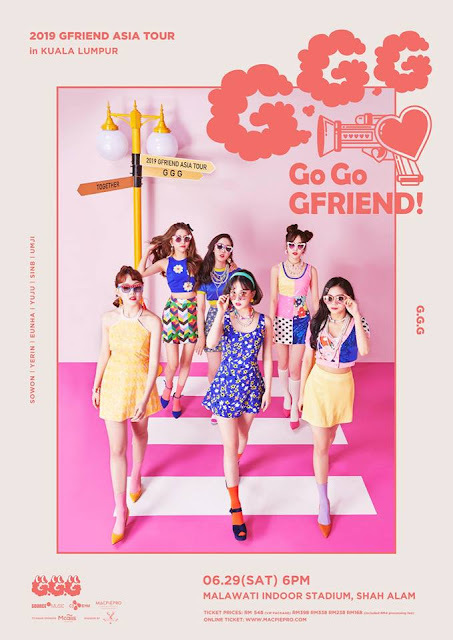 GFRIEND HITS Deal are available to purchase from 30th March to 7 April starting at 10am via Mcalls Digital Lifestyle Store or Mcalls official website.